ENT Endoscope is a high-resolution video ENT endoscopes with small diameter and advanced technology for improved diagnostics and patient comfort. ENT Excellence Redefined, Reinvented, and Remarkable. 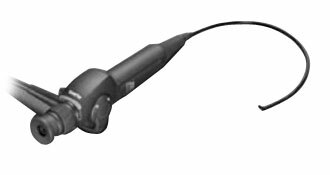 Fujinon Video ENT Endoscopes are electronic endoscopes developed through the collection of cutting-edge technologies to realize “ENT Excellences.” Not only do they contribute to the diagnosis and observation of the otolaryngological area including the vocal cords, nasal cavity, and eardrum, they answer the needs for increased speed, safety, and validity in endoscopic diagnosis. Fujinon has reinvented physician comfort and reduced overall fatigue with a new small, lightweight simple design. In order to dramatically improve patient comfort without compromising clinical diagnosis, Fujinon developed its most remarkable endoscopes. At 3.5mm the FP offers superior clinical diagnosis and at 4.9mm (with a 2.0mm channel) the offers exceptional comfort with therapeutic intervention.